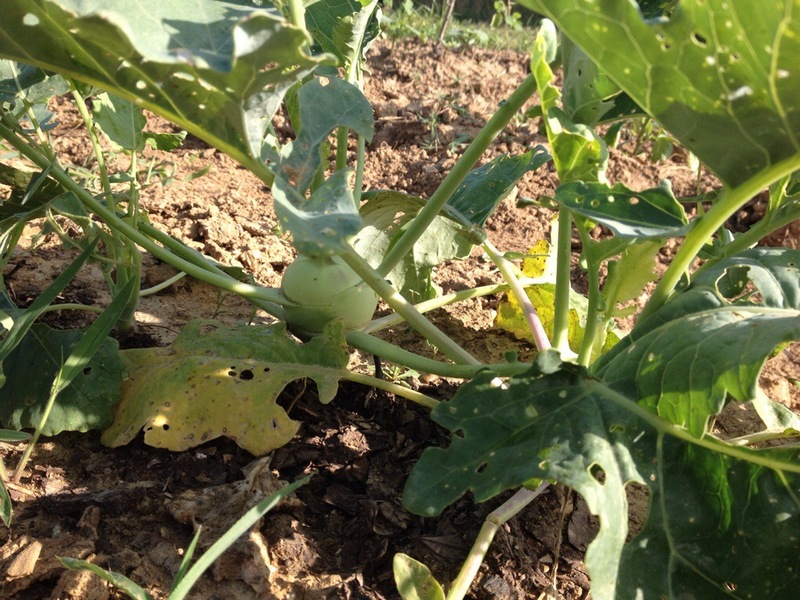 Like the kohlrabi. And the black eyed peas, eggplant, squashes, tomatoes and baby you can see below. We went out early this morning so that I could weed and the baby could supervise before the sun got too high in the sky. Our new system: as long as he can either see me or hear me talking to him (frequently about the annoyance of opportunistic weeds), we’re good. 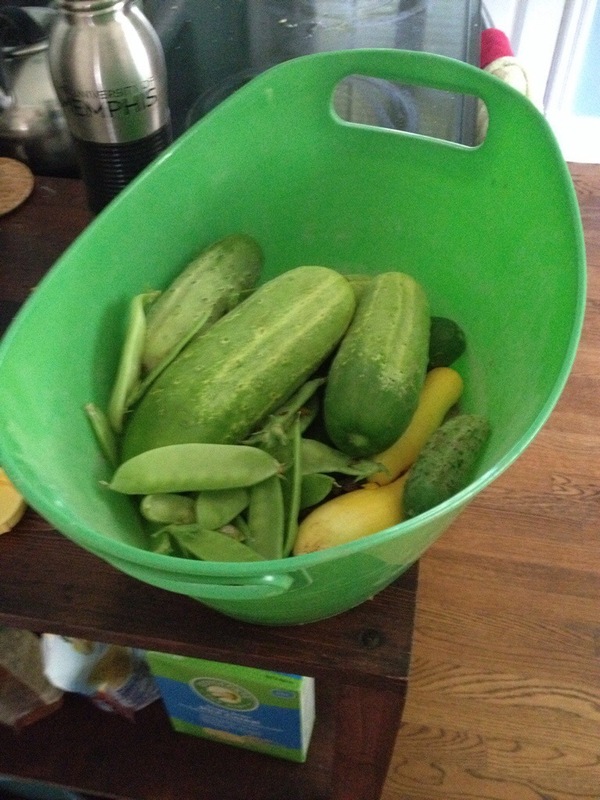 Despite the blurriness, you can hopefully tell that I was able to pick a couple of squash, some snow peas and some giant pickling cucumbers that stayed on the vine a bit too long. I’m planning on seeing what I haul in Thursday morning and then getting the summer pickling underway. Because in this house, summer means standing in a kitchen with a boiling water canner going.